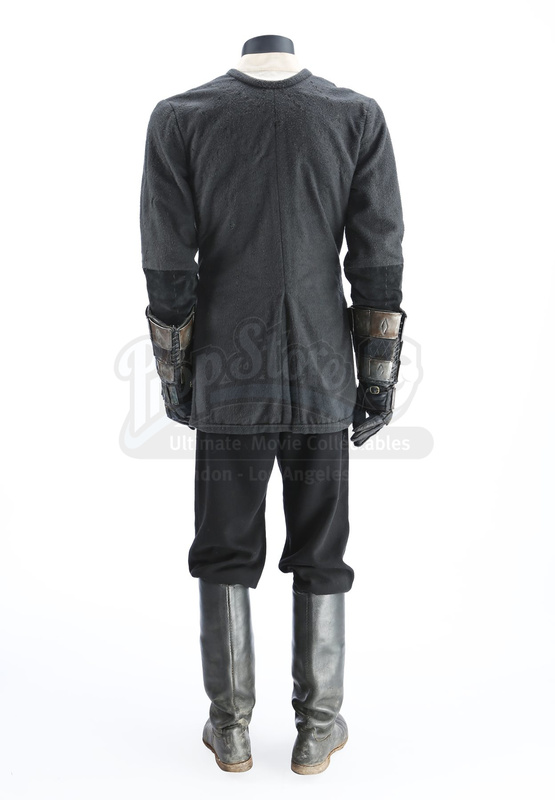 Ahmed ibn Fahdlan’s (Antonio Banderas) costume from John McTiernan’s historical action film The 13th Warrior. 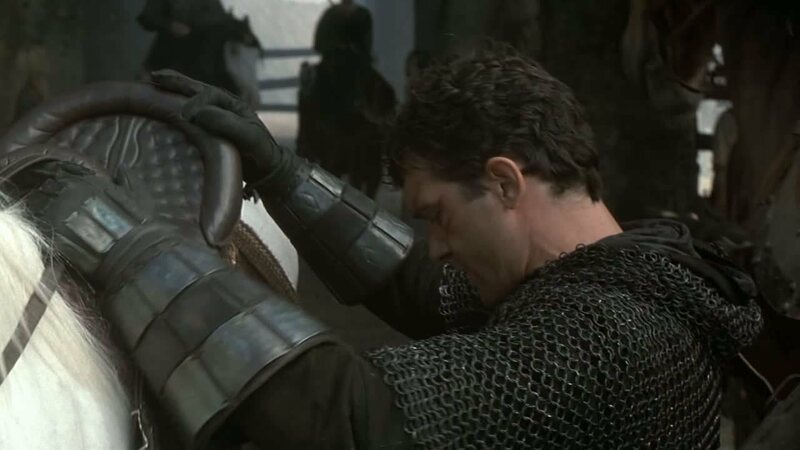 In the film, exiled Arab ambassador Ahmed ibn Fahdlan joins a band of Norse warriors on an epic quest. 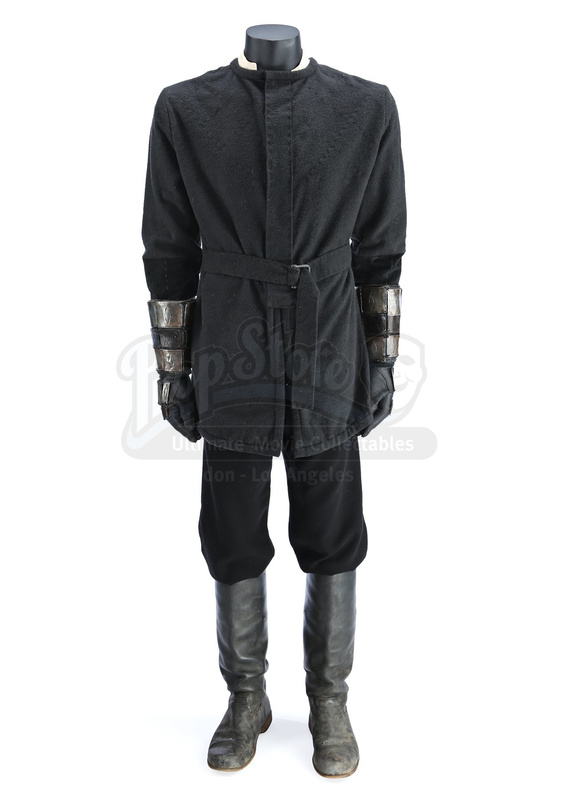 Ibn wore his dark outfit under chain mail when he ventured into the Wendol cave. 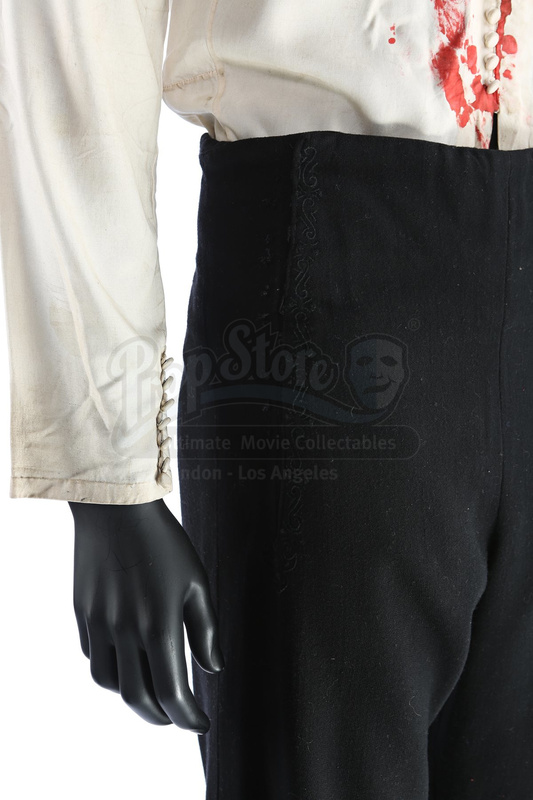 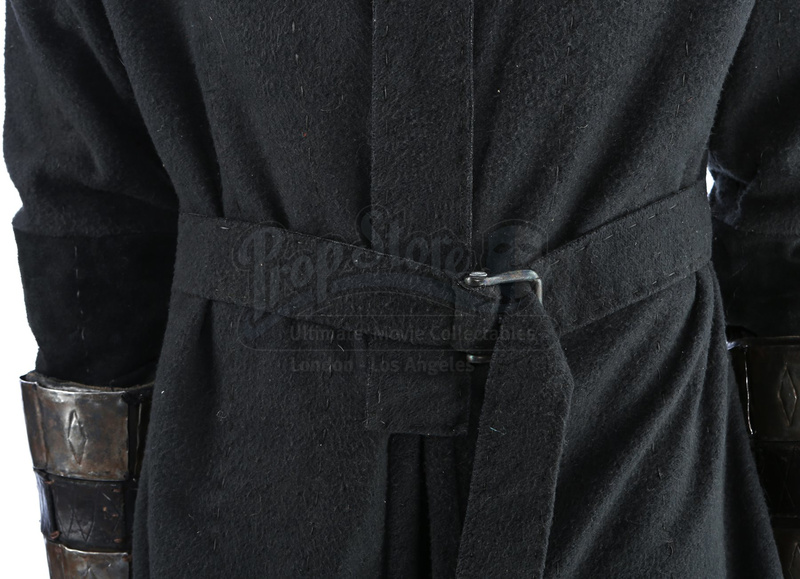 This costume includes a hand-stitched cotton jacket with suede sleeves and a hidden zipper at the back that is concealed beneath a flap. 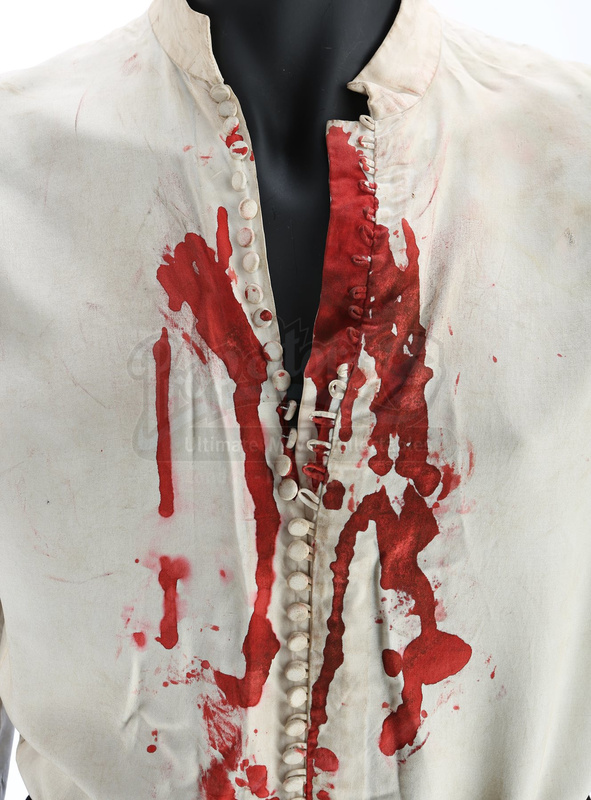 Worn under the jacket is an off-white knee-length shirt that closes in front with 27 loop-and-button closures. 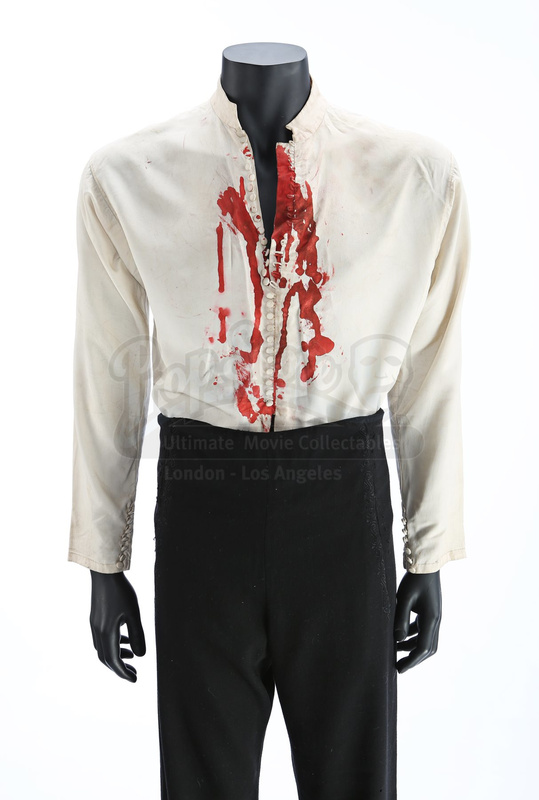 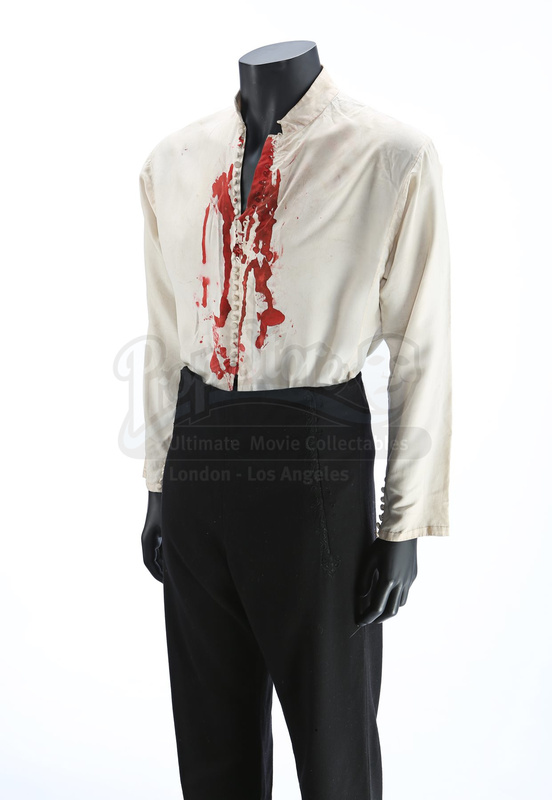 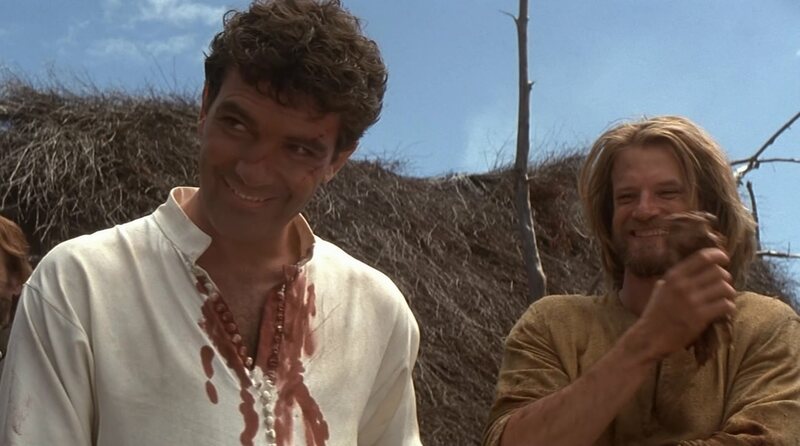 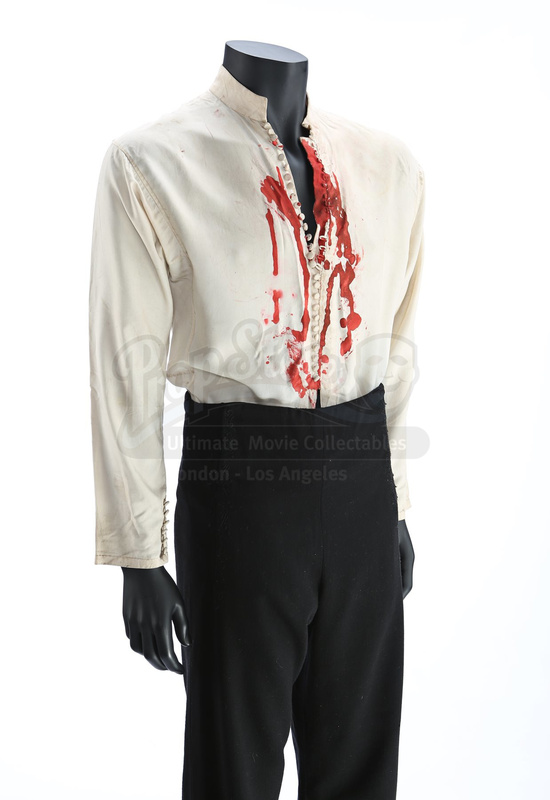 The shirt is dressed in faux blood from the battle. 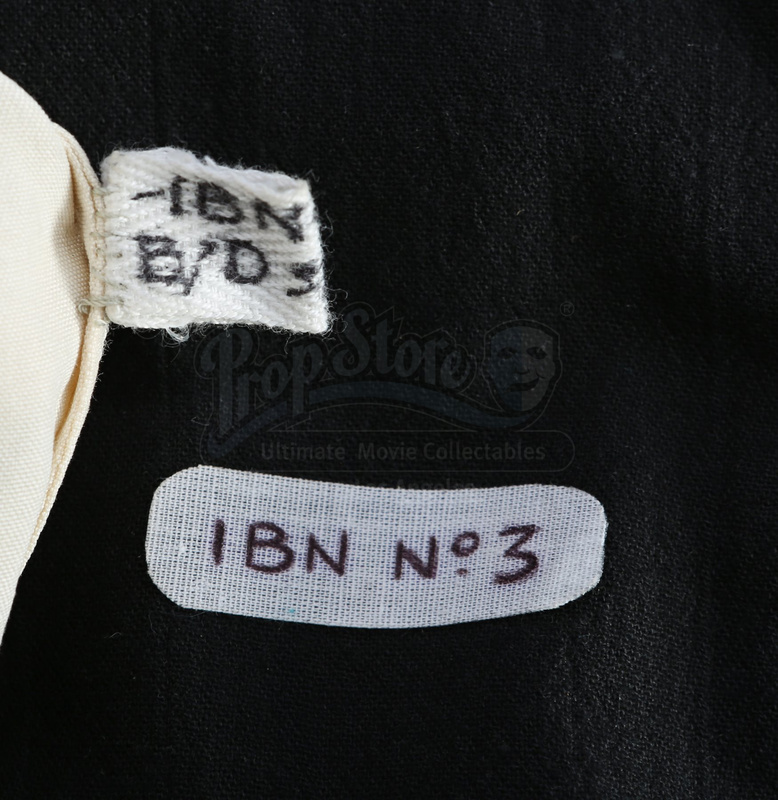 Ibn Fahdlan’s black trousers are made of linen and cotton, with zippers at the front and back. 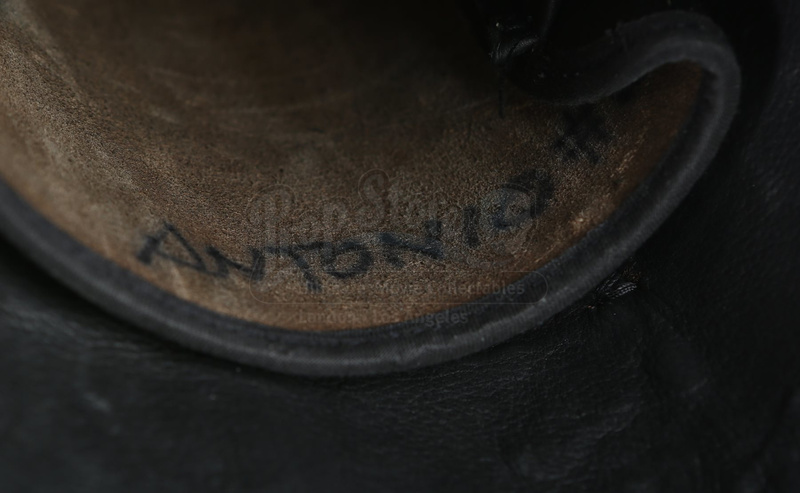 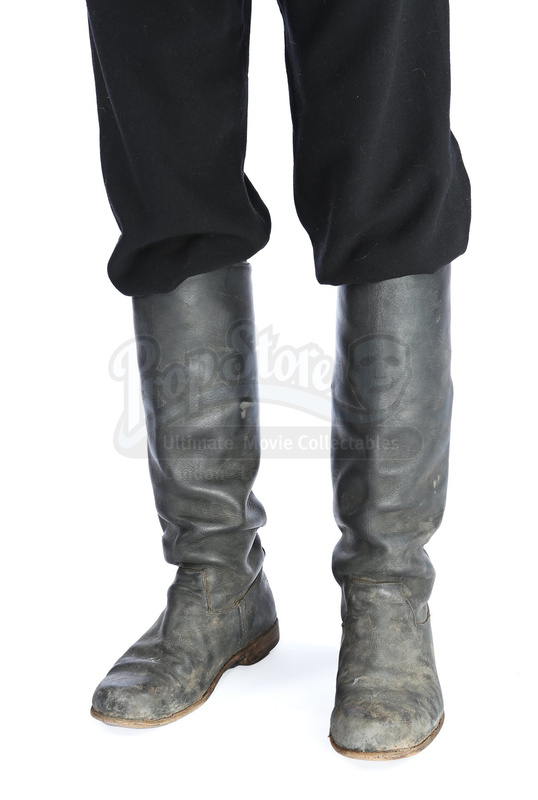 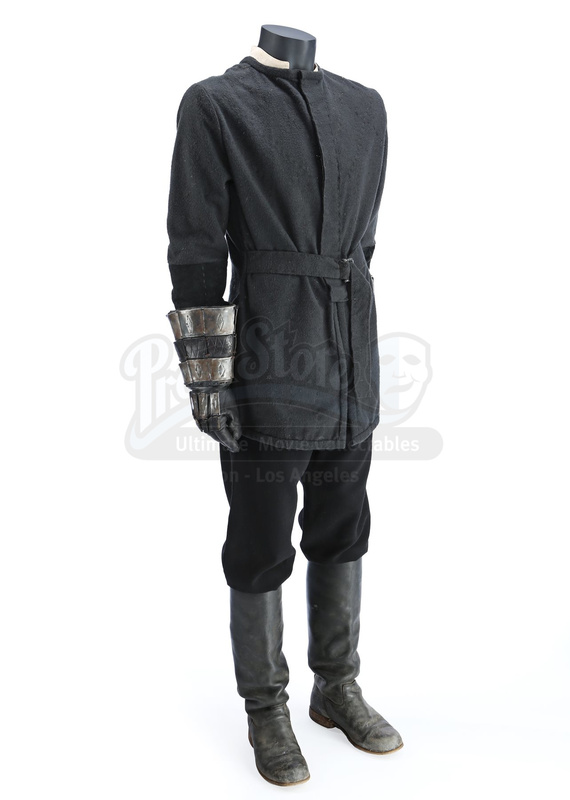 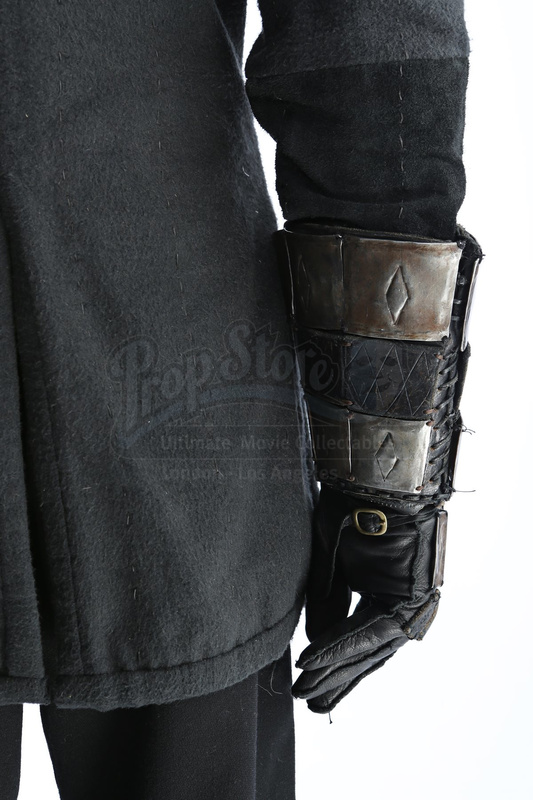 Also includes are his metal-plated leather gloves and tall black leather boots.